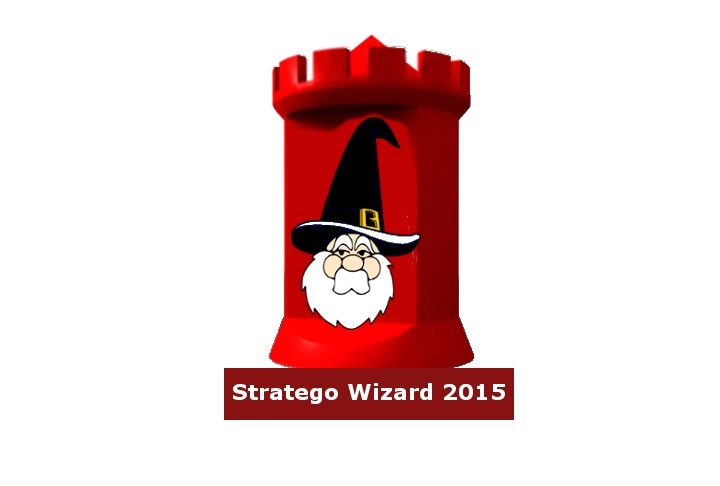 Here is the second time we organize the Stratego Wizard. Its a quizz to show your skills and knowledge regarding Stratego related things. The first edition of the wizard was with WCO1 and was won by Karaiskakis. Apart from the immense fame it gave him, he also won an icon that he proudly used in his profile. For this edition we will also grant the winner an icon. - Every correct answer is worth 1 point. - It is allowed to change your answers during the round, but not after the cutoff date. It will be announced each round. This is when we take the answers and put them in our spreadsheet for counting. For instance for round 1 of the Wizard this is Saturday 7 October 00:00:00. Please post your answers before Saturday 7 October 00:00:00. 4 countries have a sole representative in WCO 2017 - Switzerland (Napoleon 1er), South Africa (josephwhite), Lithuania (LAZZLO) and Australia (Losermaker). How many wins will these 4 representatives manage to win in Round 2 of the WCO? Greece comprise exactly 1/3rd of all participants (with 28 players). How many Greek players will win their Round 2 match? There will be much bloodshed on the battlefield. Sometimes the amount of blood spilled on each side is equal (also known as a draw). How many draws will we see in Round 2? One of the things that the WCO is known for is having the scheduling of the games done in private messages. This allows to keep easy overview of all the games. In round 1 not all the games were scheduled yet while we were preparing the wizard. How many games will be scheduled for the last play day for Round 2? In a Swiss tournament it is possible to have a late entry. In live tournaments this happens sometimes, people get late due to travelling first time to a new location, finding out their map is out of date, there are road works or cows on the road, it is snowing etcetera. What happens if they are in time for the later rounds, they can still enter the tournament. For an online tournament cows on the road are unlikely to stop people from signing up. The WCO allows late entries however in line with other Swiss tournaments. Last year we had at least one late entry, queenbee. How many late entries will there be in WCO3? A 0 It doesnt happen a lot, so doesnt happen this year. Besides I didn't see any snow or cows. E 4 or more players from any country. Just trying to be positive based on the initial record breaking signup. Question 4: E: 5 or more. Yes, that, or he's called Rowan Braltsenbelt (those younger than De Berenboot, ask klojonello) . Edited by Don_Homer, 06 October 2017 - 07:56 PM. Update: this looks more like how it should be. Edited by texaspete09, 07 October 2017 - 02:05 AM.